Join our Speech Therapy internship in Tanzania and gain practical experience in your field of study. You’ll work with disadvantaged children at a rehabilitation centre run by a local NGO. This is a wonderful way to add relevant work experience to your CV, while helping those in need at the same time. You will work with children who have a range of language impairments. Most of them come from families who can’t afford therapy for their children. Your work will focus on diagnosing impairments, designing a treatment plan, and implementing it. You will have the support of a Projects Abroad supervisor, fellow interns, and the local staff. You’ll live and work in Moshi, and stay with a local host family. During your free time, you can learn more about the local culture by sampling traditional dishes and chatting to the different people you meet. You’ll have your evenings and weekends free, giving you time to explore and make memories. 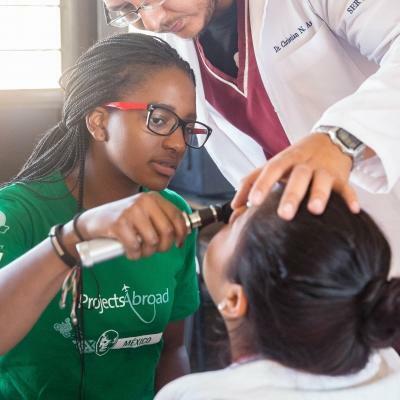 Is a Speech Therapy internship in Tanzania right for me? Are you pursuing a career in speech therapy? Have you completed at least two years of relevant studies? Do you enjoy taking initiative and working independently? Then our Speech Therapy internship in Tanzania is perfect for you! You can use this time to add some practical work experience to your CV. Talking about what you learned in interviews will also give you an extra edge. You role will be to help assess, diagnose, and treat children with speech, language, or swallowing difficulties. You work independently, which is why you need to have at least two years of speech therapy training. 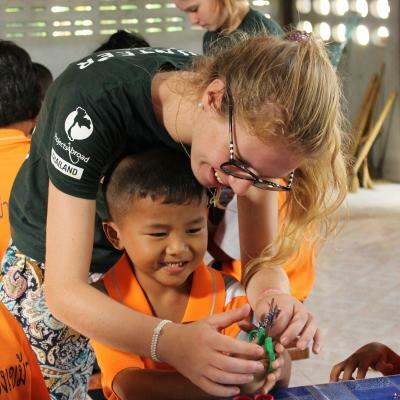 During your internship, you’ll have the support of a Projects Abroad supervisor and local staff. You’ll also work with a local occupational therapist who has an excellent working knowledge of speech therapy. Our Speech Therapy internship in Tanzania runs year-round and requires you to participate for a minimum of four weeks. We encourage you to stay longer, so you can have a bigger impact on the children. Please note that this project does close in April, August, and December for holidays. What will I do at my Speech Therapy placement in Tanzania? As a Speech Therapy intern, you will work at a rehabilitation centre run by an NGO in Moshi. Here, you will help accurately diagnose children who’ve been struggling with speech difficulties. You can use some of the assessments you’ve learnt during your studies or get guidance and ideas from local staff. Because the centre is under-resourced, this is a chance to get creative with assessment tools. Due to limited resources and income, families don’t always have access to specialised care for their children. The centre where you work plays an important role in helping these children. You will work with the local team and your fellow interns to determine the best course of action for each child. Using information from their diagnosis, you will help work out personalised treatment plans for each unique case. You can use your own reports or the reports of previous interns to see what each child struggles with. You can then use this as a focus for your treatment. Once a treatment plan has been worked out for each child, you will help implement it. You will be able to gain practical experience in leading children in techniques and exercises addressing their specific language difficulties. In some cases you may work with groups of children, and others may require more personalised attention. Recording, analysing, and reporting on your findings with your programme coordinators is an important part of your job. You’ll spend some of your time inputting the data you collect to our Global Impact Database. A key part of making sure parents seek treatment for their children is sharing your knowledge about speech difficulties and the importance of rehabilitation. Through talks and workshops, you’ll be involved in raising awareness about speech and language difficulties in local communities. This will also help combat prejudices around these difficulties. 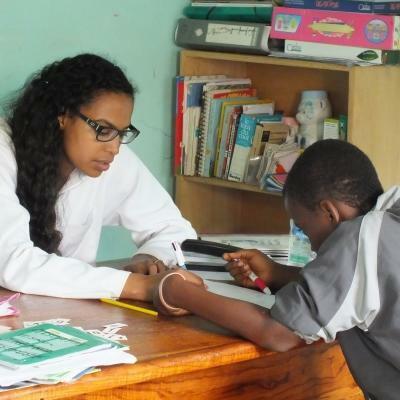 Where will I work as a Speech Therapy intern in Tanzania? You will be based in Moshi, a large town located in the foothills of Mount Kilimanjaro. Apart from the iconic mountain towering over it, the town is surrounded by spectacular natural beauty. 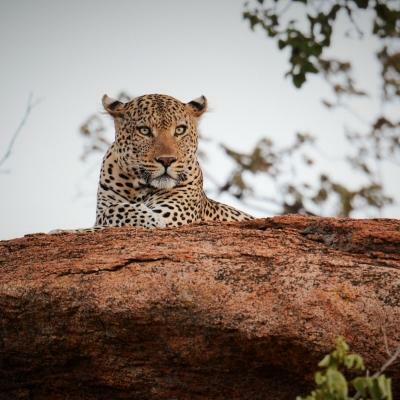 It also serves as a gateway to an array of adventure activities, from hiking to safaris. 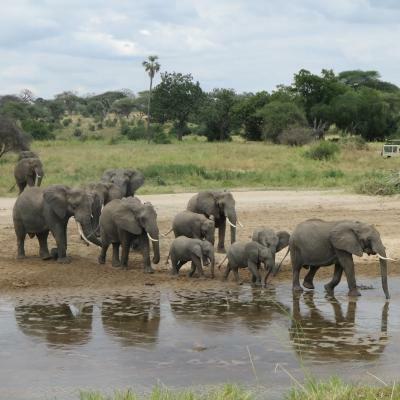 Tanzania is home to a range of different tribes, each with their own fascinating culture. The most famous of these tribes is perhaps the Maasai. If learning more about new cultures is important to you, you will have loads of opportunities during your time in Moshi. 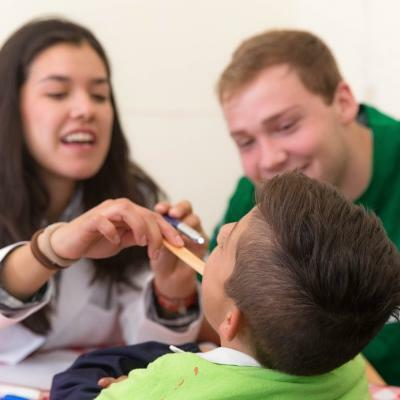 Our Speech Therapy internship is located at a rehabilitation centre, run by a local NGO. It’s also where our Occupational Therapy interns in Tanzania are based. Facilities at the centre will be basic, giving you a chance to see the innovative ways staff run therapy sessions in this environment. As a Speech Therapy intern in Tanzania, your typical day will normally run from about 8am to 5pm. You will only work from Monday to Friday, with your evenings and weekends free. You’ll use public transport to get to and from your placement. On your first day, Projects Abroad staff will accompany you to show you the way. You would normally spend the first hour or so of the morning preparing your work for the day. After this, you will start consultations with children who have not yet been diagnosed. During these sessions you will make notes to discuss with staff and fellow interns later, in order to make an accurate diagnosis. You will continue your sessions in the early afternoon, focusing on therapy with children who have already been diagnosed. Use the last bit of the day to catch up on some administration, reporting and inputting information into our Global Impact Database. Evenings and weekends are your free time to explore, rest, and relax. Meal times are great opportunities to get to know your local host family better and learn more about Tanzanian traditions, food, and culture. Make the most of your time in Moshi by setting off on one of the spectacular hiking trails in the area, visiting Lake Chala, and even going on a safari. The town itself also has great local markets and restaurants to try out. We want to equip you with the knowledge and practical skills to pursue a successful career in speech therapy. You will be working in a rehabilitation centre for children, where our Occupational Therapy project is also based. Your work will focus on the assessment, diagnosis and treatment of children with speech, language or swallowing difficulties. By doing this, you’ll be providing much-needed therapy to children who have had limited support for their speech and language difficulties. Due to financial constraints, many families in Tanzania are often unable to access the help their children need. This internship will give you an insight into the struggles people face with getting access to therapy in developing countries. Join us as an intern and gain invaluable speech therapy work experience in Tanzania, while helping children with special needs.